When I was a child a few kids in my neighborhood wanted to play baseball at a friends house. Kevin, who’s house we were at, was up to bat. We all knew how far Kevin could hit the ball. We backed up and spread ourselves out so we could try to catch his long ball. Everyone got in position, Kevin stepped up to bat, and then “WHAM.” We stood still as we watched in slow motion his grand slam fly over our heads. We watched in awe and then heard glass shatter as the ball went through an upstairs window of his house. We froze in horror knowing how upset his parents would be once they found out. Some of us hurried inside to inspect the damage while others ran home. When we got upstairs to the bedroom, we saw the ball had made a perfect hole in the glass with little crack marks surrounding it. We knew we couldn’t properly fix the hole on our own, but we at least wanted to temporarily cover or fill it in the meantime. Kevin had a brilliant idea to use scotch tape and plastic wrap. Together we covered the hole. When Kevin’s parents got home, he explained what happen and deeply apologized, we all did. His parents appreciated our efforts to fix the hole, but explained that the whole window would need to be replaced. That was the only way to make it whole again. His parents then asked us what lesson we learned. We all gave our answers, “be honest” and “don’t hit so hard.” His parents kindly said, “Nope. Just change the direction you’re playing.” If we had thought to turn the other direction we would have been hitting the ball into the trees that lined his backyard rather than into his house. I feel it’s fair to say most of us maneuver through life trying to fill holes that are inside us. These holes can be created by a number of experiences we have in life. Perhaps you’ve experienced abuse. This could be physical, sexual, emotional, verbal or mental abuse. Maybe a traumatic event which has caused fear of abandonment, anxiety, depression, or perhaps you didn’t receive much love and nurturing as a child. Some of you may have even been given everything you ever wanted growing up, but now as an adult have a void from how meaningless and unfulfilling those “things” were. We all perceive life differently, encounter different trials, make choices in life and have different needs. Holes are often created due to an unmet expectation, need, or a physical or moral injury that has taken place. Some holes can become so big and deep that they can cause severe behavior/mental health problems, turn into addictions, cause people to abuse others or in some circumstance do the opposite, and cause you to want to fix everything. There becomes a need to be a “people pleaser” and to fix or protect others. But it’s done in a way that interferes with relationships, growth, or responsibilities of that individual. 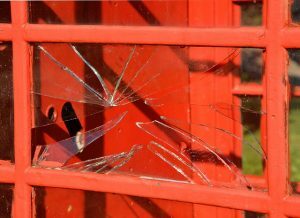 Just as the broken window was temporarily filled with tape and plastic wrap, we have tendencies to fill our holes or wounds with temporary gratifications rather than completely heal them. Some of us may seek after money, possessions, sexual gratification, food, or even drugs to fill these holes. If you find yourself constantly stimulating yourself with electronics in some form, you may want to ask yourself why. Are you able to drive in the car without music, the radio on, or texting someone? How much time is spent watching TV or playing on electronics versus being with family, friends, or doing a healthy hobby? 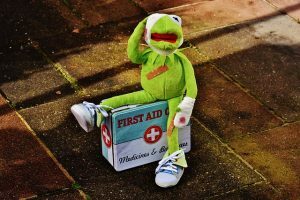 By improperly healing our wounds, we make ourselves vulnerable to temptation and to turning in the wrong direction. 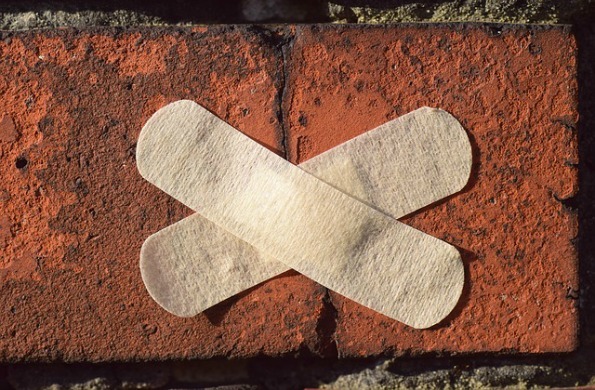 So how can we heal these holes and not just temporarily fill them? In order to answer this question, what comes to mind is the articles of faith. Be completely honest with yourself and answer these questions. If you answered yes to one or more of these questions, then ask yourself this, do I truly believe I am a cherished son or daughter of a loving Heavenly Father? I believe the one quality every human being is born with is the emotion of love. Love is the strongest resonating emotion in this world. When you feel it in its strongest form, you can almost touch it, it’s so powerful. 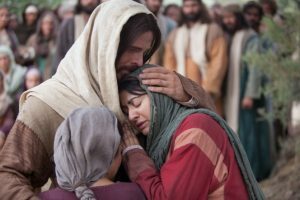 Love is why families are created, why the Savior atoned for our sins and gave His life, and why Heavenly Father allowed it. Heavenly Father gave us the opportunity to know without a doubt how cherished we really are, so He gave us His son, Jesus Christ, to be the example and reminder of how much we are truly loved. Christ is our Redeemer. To redeem means to raise One above poor, past performance or behavior. What this means is if we believe in the articles of faith mentioned above and truly believe you are cherished and loved by our Heavenly Family, then do you believe it’s possible to not just fill your holes with temporary gratifications, but actually heal them completely? I’ll remind you of a specific word in the seventh article of faith, healing. Do you believe in the gift of healing? I truly believe I can replace all the wounds, holes, and pains I experience in this life with the love of my Heavenly Father, and my Redeemer Jesus Christ, and be fully healed or made whole. 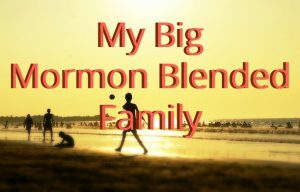 My blended family of 2 years is filled with holes. From myself personally, to my husband and down to our 5 children. When we came together as a family, it is an understatement to say we were broken. I’d use the word shattered. 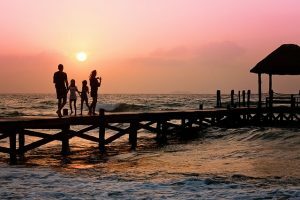 My husband was starting a new job, we were immediately given 50/50 custody of his daughters and trying to get used to each other while we blended a family. Then, I surprising got pregnant and was very ill. All of us were suffering trying anything and everything to fill our holes, especially our girls. We planned outings, bought a million treats, went to movies, allowed endless electronics, and organized surprise after surprise. We quickly recognized within ourselves and our children that we were not healing, we were filling. Things and stuff were more of a priority then scriptures, prayers, and healing our hurts. The definition for filling means a quantity of material that fills or is used to fill something. The tools we were using to “fill” our children and ourselves were temporary fillers. What we needed was to heal and be made whole. But this takes time. The definition of healing means the process of making or becoming sound or healthy again. The definition of process means a series of actions or steps taken in order to achieve a particular end. I finally decided within myself that I needed to start taking the right steps towards my Father in Heaven and Savior in order to extend the same healing power to my family. I decided to turn in the right direction and reset my priorities and focus. We still aren’t perfect, but we are on the path of progression. To read more of Mele’s articles, click here. As I take the time to study and immerse myself in my Heavenly Father, and my Saviors love, I find that I am more easily able to extend that same love and compassion to others and my family so much more. And as I give more of myself to others through service, I begin to heal from the holes that are in me. 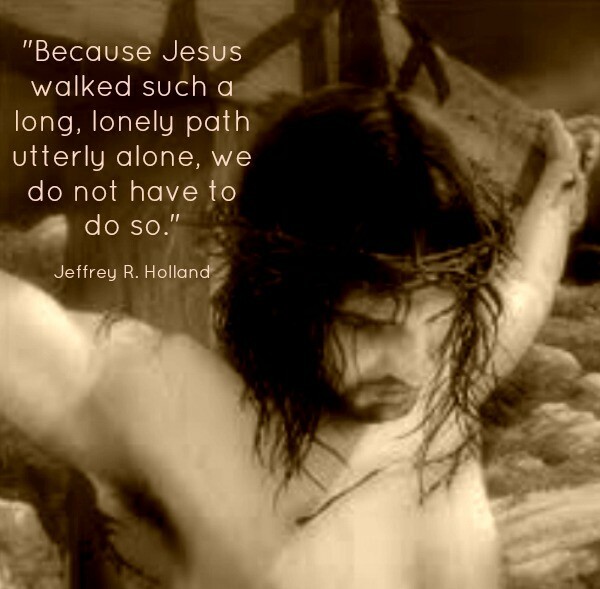 Heavenly Father’s love is what brought us to this earth, and that same love was extended again by our Savior when He suffered every hurt and pain we have and will ever experience. So why not allow that same love to heal our holes? © 1978, 1979 by K. Newell Dayley. Used by permission. All rights reserved. This song may be copied for incidental, noncommercial church or home use.